Walmart's lobbying expenditure spells a list of questions whether the FDI is about the farmers or an example of paid policy making. Walmart spends Rs 60 Crore in making an environment where Walmart gets an acceptance; in short it’s Lobbying which is illegal in the Indian Law. Lobbying should be allowed or not is a different debate but till now when it was not legal, in whose account the amount rests now? There have been no talks between Walmart and any of the farmer association or any training programme ahead of the giant retailers venture into the Indian market. The money has been spent to initiate a healthy relationship between the company and the hierarchy (on top of which lies the parliamentarians). This might be a wild guess but the only visible possibility as of now. Lobbying is allowed according to the US laws and Walmart is not the only company pursuing a place in the lucrative Indian retail market. If Walmart spends a good chunk of money, how can it be neglected that other companies are not engaged in such deals. When the biggest company pays Rs 60 crore, in the hindsight it has become the Maximum Retail Price (MRP) to enter the market and the smaller players obviously have to pay less than the MRP. Brand ambassadors like MS Dhoni who charge Rs 200 Crores for advertisements eventually add to the cost that the consumers pay. 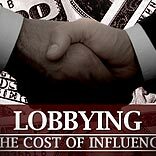 Lobbying comes in as the investment for big companies and any piece of investment is done with an intention of being paid back with dividend. The lobbying charges will either reflect in the MRP label on the products or will depreciate the salaries of the Indian employees in the firm. The lobbying disclosure has surfaced the intentions of the government in which farmers were never at the centre stage. Why would Walmart spend Rs 60 Crore if FDI was the only accelerator for our slow economy and would have eventually happened? Or is Walmart the true supporter of our farmers and spent Rs 60 Crore to make the government realize the vitality of FDI in retail? FDI bill has been notified and foreign investments are welcome onto the Indian soil. In the debate, government repeatedly argued that the bill will help farmers, consumers, infrastructure and employment. Apparently the bill does not have a single clause to make sure it supports any of the above. FDI will bring companies and has a potential to help the farmersbut only if the bill had any clause safeguarding this vulnerable section. ‘The middlemen will be eradicated from the supply chain and the farmers will get a larger margin’. If this is the case what will you name the - quality controller, standardiser, certification agency, processor, packaging consultants etc? Are they not middlemen between the farmers and the consumers. The policy lacks the armour to protect the margins of the farmers. A packet of Uncle Chips worth Rs 10 gives a share of Rs 1.25 to the potato manufacturer. Where is the clause in the bill stating a fixed percentage of the retail pricing to be shared by the farmer? The first question to be asked is will Walmart , Carrefour or Tesco bring in the infrastructural development. What infrastructure will they create: Roads or Power? India has had a policy of FDI in cold storage since early 2000 but the irony is till now not a single cold storage has built by a foreign company because there is no power to run cold storages. Allowing strong competition for local retailers is just like the 1962 war between poorly equipped Indian army against the strong Chinese forces. If at one side the government has opened the market and increased the competition, how difficult was it to help the Indian retailers with some sort of relaxation in the tax or the government needs more economists in the cabinet to think something for the local kirana walas. This equation is not very complicated. Indian retail is a $400 billion industry and employs 40 million people. Walmart is a $420 billion company and this much business it does with just 2.1 million people.The bill would have definitely ensured employment if the foreign companies were legally forced to generate a fixed number of employment for certain revenue generated. Walmart’s lobbying has not just questioned the illegal execution of a legal American process, but moreover raised serious concerns over Indian government’s attitude towards their very own voters. They have left the field open where the companies would buy cheap and sell dear. How Arrow India grew Its Marketplace Business By 3.5X?